In today’s highly competitive housing market, it is important to give yourself every advantage so that your sale runs smoothly and is as profitable as possible. Below are the 7 Mistakes to Avoid as a Home Seller. When houses don’t sell, it is often the result of avoidable mistakes. I want you to know, before you start, what best to avoid! Sellers expect a home in tip-top shape. When buyers see dirt, wear and tear or broken items, not only is it a turn-off, it sends the message that this home has not been cared for as well as it could have been. Is that an unfair perception? Of course it is! Most of us live in a less than perfect home. While unfair, perception is reality with sellers looking for reasons to lower their offer price or to wait for a better home. Ensuring that your home is deep cleaned, worn carpets replaced, a fresh coat of paint and minor repairs made can yield 3-5x times as much in profit as invested in the repairs. Neutralizing your home and decluttering it are equally important. Remember Clutter Kills Equity! When you List with Lisa, you will receive a free staging consultation and full report of recommendations. Ultimately, it will be your decision but I want to be certain you are armed with all of the necessary information upfront for a successful transaction. It can be difficult to accommodate showings at times. I do require advance notice from prospective buyer but sellers also need to be as flexible as possible with allowing for showings as requested. The more accessible your home is, the better the chance that perfect buyer walks through the front door! One of the biggest mistakes a seller can make is pricing their home above fair market value. Fair Market Value is “What a willing and able homeowner will sell their home for and what a capable buyer will pay for it.” Housing is a commodity and the amount for which you purchased the home, the amount you have spent on improvements or the amount you hope to net does not influence fair market value. Recent sales activity creates the “market” and the market changes all the time. 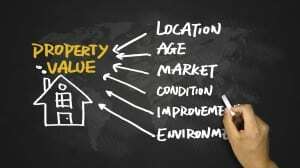 The CMA will provide the fair market value for your home by analyzing homes, similar to your own, located in your neighborhood that have already sold (or that failed to sell) in the recent past. When a home is priced too high, it often backfires. Buyers and their agents are savvy, they will compare your home to other similarly priced homes and if your home disappoints, they will move on to something else. By the time you have reduced the price appropriately, you have accrued market days and the correct target market now sees your home but they view it as already having been on the market, thus reducing their urgency and the likelihood of competing offers. If a seller feels strongly about a price that is contrary to what the CMA supports, there are a number of added steps we can take to try to come to a consensus on pricing strategy. Call me for details. At the end of the day, you need to feel comfortable with the decisions and strategy so that there are no “what-if’s”. 4. Relying Exclusively on Traditional Methods to Sell Your Home. The agent who is innovative and actively searching for new ways to identify buyers will always outperform agents using only traditional marketing methods. Our technology capabilities are constantly evolving and many potential buyers respond exclusively to those methods. In order to attract the greatest pool of buyers, I utilize both traditional and innovative marketing methods. 5. Failure to Make Cosmetic Changes. First impressions matter and curb appeal sells homes! Make sure your grass is mowed, your bushes are trimmed, your home is decluttered, unpleasant odors are removed, etc. Buyers want to feel as if they could move right in! 6. Wasting time with unqualified prospects. As a real estate professional, it is my duty to vet potential buyers – ensure they are financially qualified and assess whether they will prove unreasonably difficult to deal with. Nobody wants to waste time and experience a failed deal due to an unqualified or unreasonable buyer. 7. Thinking All Realtors are the Same. Selling a home has become a highly regulated and complicated transaction. It increasingly becomes more difficult to sell by owner. Also, highly trained professionals in all aspects of real estate really do make the process simpler and more profitable for their clients. Preparations, legal considerations, online marketing, print marketing, disclosures, negotiations, financing considerations, inspection issues, title concerns and closing issues all come into play. As a licensed attorney and Real Estate Broker, I can successfully manage all of these aspects for you.